Chloe Green and Jeremy Meeks. Photo courtesy of Instagram. Just three years after an insanely viral mugshot took over the internet, the famed “Hot Felon” seems to have a drastically different life! 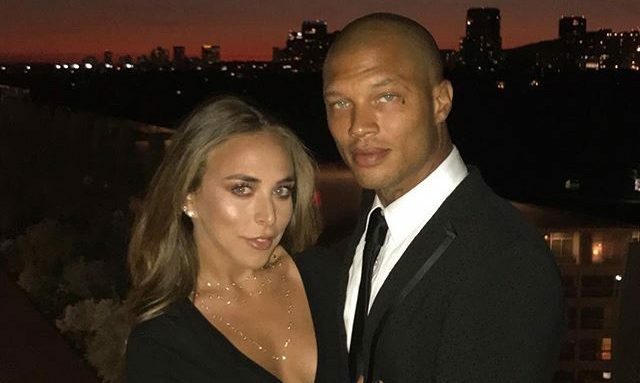 Jordan Meeks and his girlfriend Chloe Green might soon be planning a celebrity wedding! According to UsMagazine.com, Green thinks that she and Meeks are looking to take the next step in their relationship and become engaged! The celebrity couple were first seen together in June and haven’t slowed down since. This is certainly a turnaround in Meeks’ life – he made celebrity news just last month for filing for divorce from his wife Melissa. This celebrity news shows that you truly can move on after a divorce. What are some steps you can take to move on after a tough split? 1. Ask for help: There’s nothing wrong with admitting you need help. Contrary to what you may believe, it’s not a sign of weakness, but rather, a sign of strength. Admitting you need help will garner a lot of respect from those around you. Yes, you can still consider yourself strong and independent and still require extra help from time to time! 2. Celebrate small: If you find yourself constantly down from a messy divorce, sometimes it’s easier to find small things to celebrate. Even if it’s something as seemingly mundane as putting on “real pants” rather than sweats – that’s something to be proud of. Coloring your world with more positivity will cause you to see things more positively. 3. Focus on yourself: While it may seem so lonely to be on your own for the first time in a while, use this time of independence to learn more about yourself and what you truly want. Self-discovery will help you focus on your personal goals for the future, without having to focus on somebody else’s wants, needs, and desires. Don’t jump into another relationship until you feel ready for it. How have you moved on after a divorce? Share your tips below.